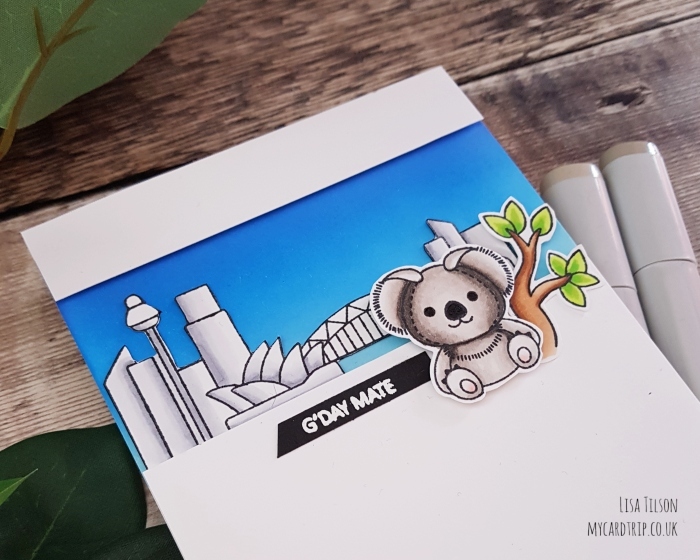 Day 2 of the Clearly Besotted April release teasers is here and today I am sharing a clean and simple card featuring another of the popular plushie series and it is called Plushies Down Under. This is a larger A6 set – and I adore it! It sings to me as I spent 9 months in Australia when I was in my mid 20s and made some lifelong friends on my trip. So this set is going to be very useful for me! 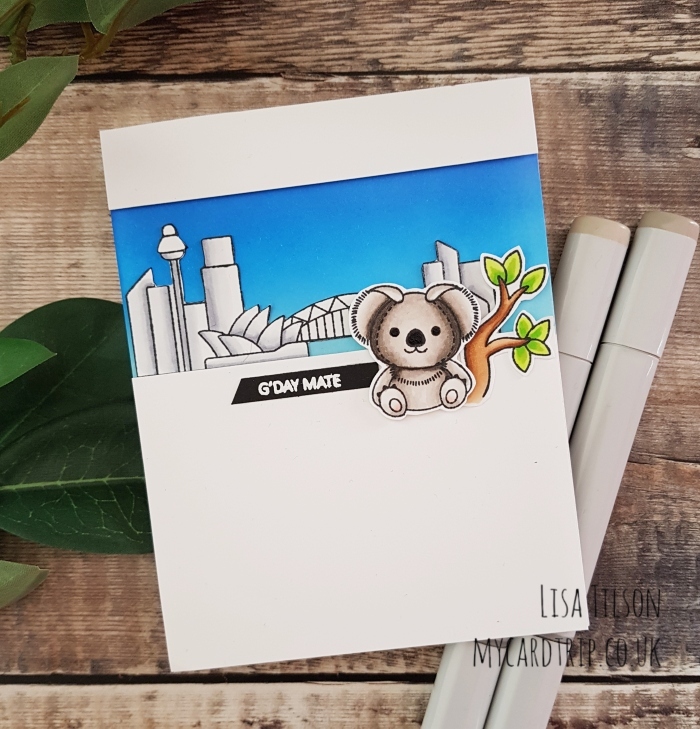 So, today’s card features the Sydney skyline, a koala and a eucalyptus branch. Sydney was actually where I spent most of my time whilst I was there. 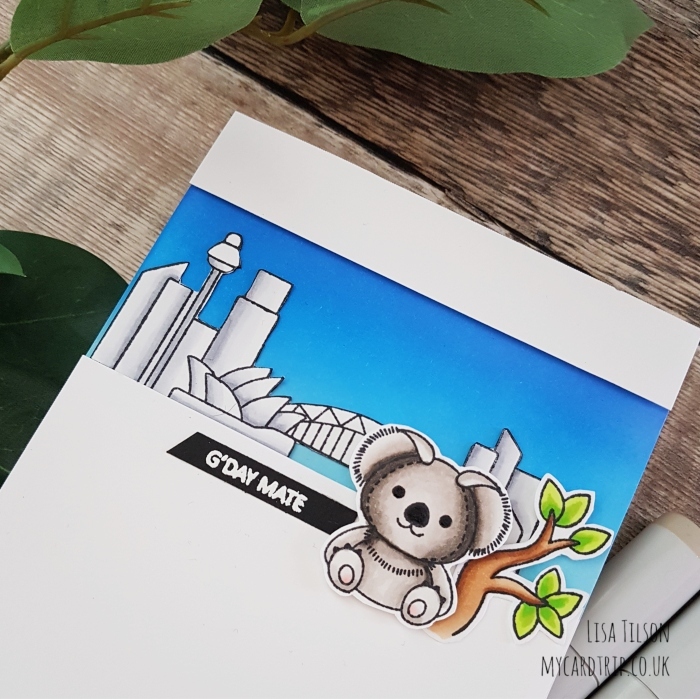 I did see a wild koala up a tree somewhere in the outskirts of Adelaide and I did get to cuddle a rather less wild koala whilst I was there too, so I couldn’t resist including it on my card. To kick off my project, I took some Neenah 80lb and stamped the skyline, koala and branch using Memento Tuxedo Black. These were coloured with Copics (numbers listed below if you are interested). I deliberately kept the skyline in soft greys as I wanted it to stand out against that beautiful blue sky. Ahhhhhh it’s bringing back so many memories! The images were fussy cut and placed to one side but there are coordinating dies available. I ran a Memento Tuxedo Black marker around the skyline image as I had fussy cut right to the black line, and this gives the image a much cleaner finish. To get that beautiful splash of blue, I took a 110lb Neenah top folding base card, masked a small section off the top, and I also masked off the lower two thirds. I took a mini ink blending tool blended Blueprint Sketch, Salty Ocean and Tumbled Glass Oxide Inks from top to bottom. Several layers of these are required. You want to try and get it as smooth as possible and that requires layers and a bit of elbow grease. When you start blending you think they are not going to go together and they will be all splotchy, but it does happen if you persevere. I then took a panel of Neenah 80lb and trimmed a small strip for the top of the card and a larger panel for the bottom. These were popped over the base card with foam tape. I then adhered the eucalyptus branch with a mix of wet adhesive and some foam tape and the koala with foam tape. To finish the card I stamped the greeting from the set onto black cardstock using Versamark Ink. I applied Hero Arts White Embossing Powder and heat set it and then trimmed it with the SSS Sentiment Label Dies before adding it to the panel with wet adhesive. My final touch was to add some Sakura black glaze pen to the koala’s eyes and nose. Thank you as always for joining me today, I really do appreciate it and hope you will join me tomorrow for day three of the teasers. 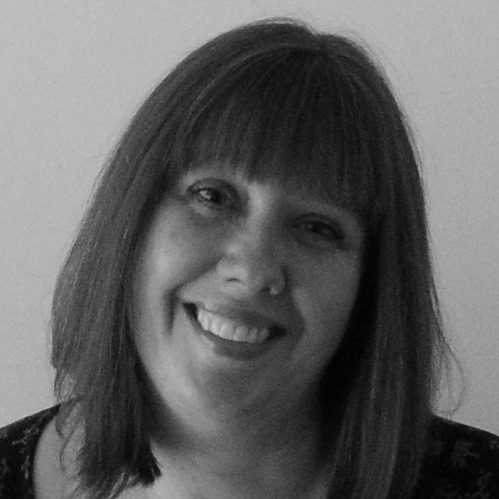 I am sure Stephanie, Keren and Michelle have something to swoon over, so I hope you will pay them a visit. Have a great day and I’ll be back tomorrow. Happy crafting! but. . . but. . . but you didn’t use the platypus??? he is just the most amazingly cute platypus i’ve ever seen. . . Cute card. Your blending is fantastic. I can,t blend that good. Thank you for the great tips.